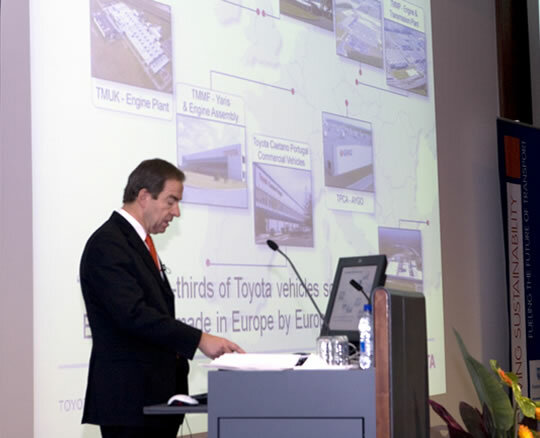 Mr. Piet Steel is Vice-President European Affairs of Toyota Motor Europe, representing TME in different European organisations and promoting TME’s interests in the Brussels international community. From 1997 to 2005, he was Director for Public Affairs at the Solvay Group (Belgium), overseeing the chemical and pharmaceutical company’s global government affairs activities. An experienced and respected expert in international relations, diplomat and manager, he was educated at Ghent University (Belgium) where he obtained a Law Degree in 1973. Mr. Steel entered the Belgian Foreign Service in 1975 to serve in various overseas postings, including Belgium’s Chief Negotiator during multilateral trade negotiations, Belgian Ambassador in Hanoi, Vietnam, and Belgium’s last Consul General (1993-97) in Hong Kong. He was appointed in April 2005 in his current function with Toyota Motor Europe. In his spare time, Mr Steel enjoys cycling, cooking and reading history books. Mr. Steel was born in 1950, and is married with two daughters.